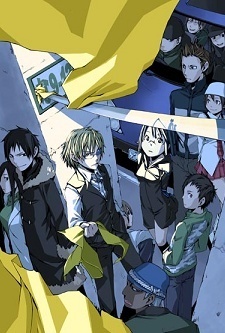 The story takes place in a downtown of Tokyo, Ikebukuro. Teenage punks gang up and fight against each other. The gangsters are afraid of an urban legend "Dullahan" headless rider, who rides a black motorcycle without head lights nor sounds of engine. Ryuugamine Mikado is a normal high school boy who seeks peculiar beings. When he moves in to Ikebukuro, a mad scramble for Dullahan's missing head breaks out.